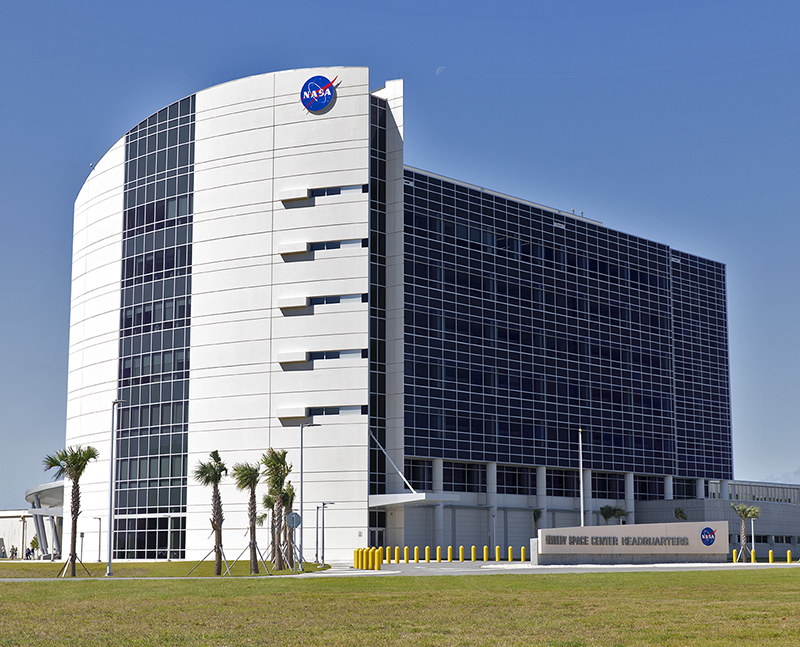 A brand-new headquarters building boasting several sustainable features has opened for use at NASA’s Kennedy Space Center in Florida. The newly constructed facility anchors the multi-user spaceport’s Central Campus. The facility has earned the U.S. Green Building Council’s Leadership in Energy and Environmental Design (LEED) Gold designation. It has LED lighting throughout, along with occupancy sensors to turn off unneeded lights; windows, screens and shades designed to maximize natural light; chilled beam HVAC technology reducing the need for ductwork; and more. Outside, the parking lot has dual electric vehicle charging stations and Florida native plants. More than 500 civil service and contractor employees will be based in the 200,000-square-foot building, including shared services such as printing, reprographics and the center’s post office. Several center organizations have recently moved in, and more will follow during the coming months.